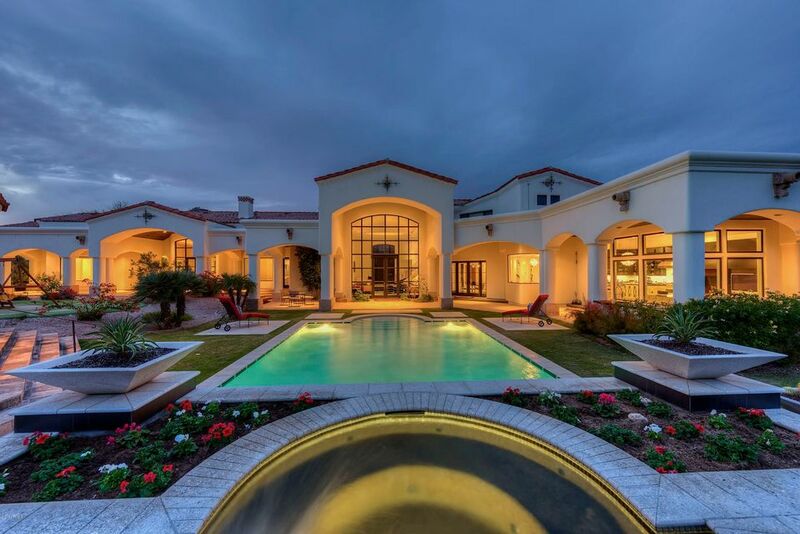 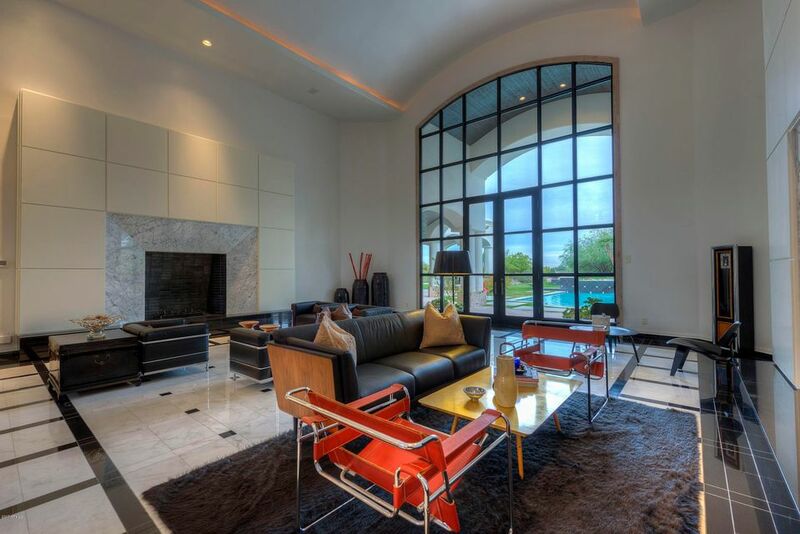 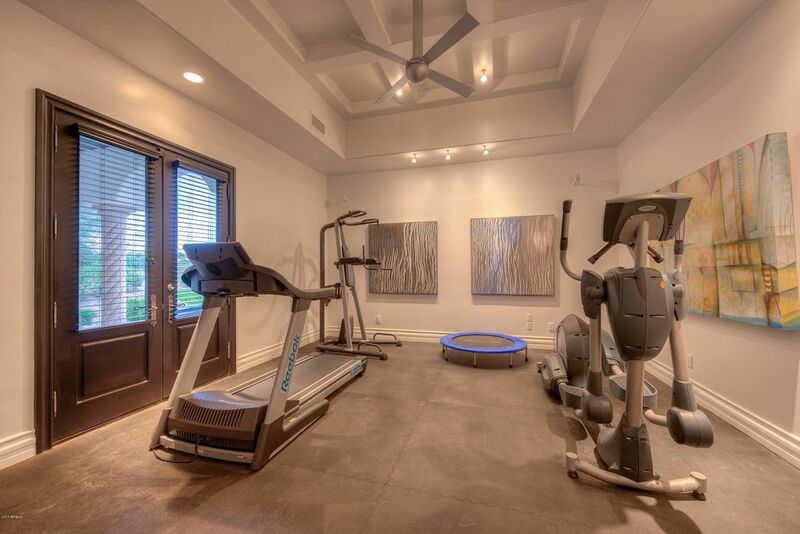 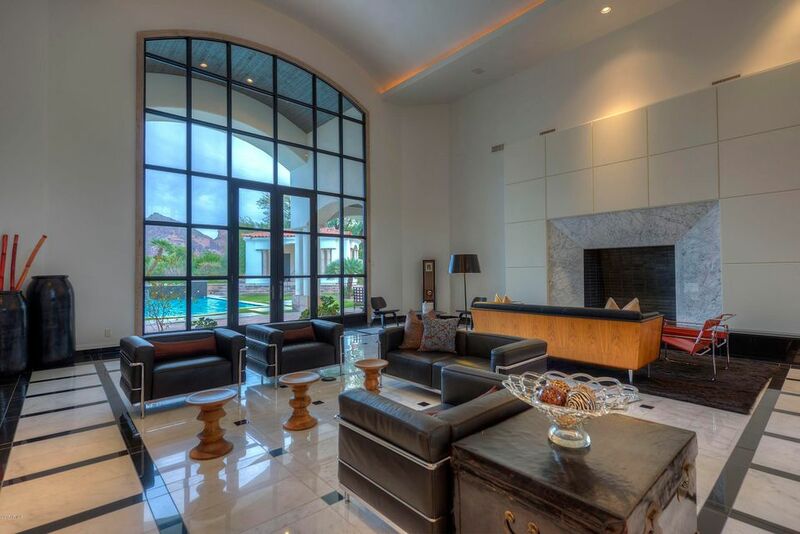 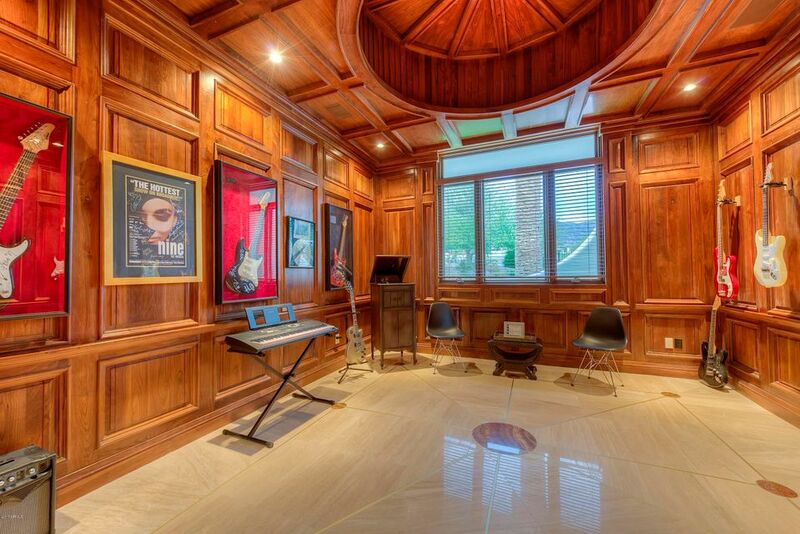 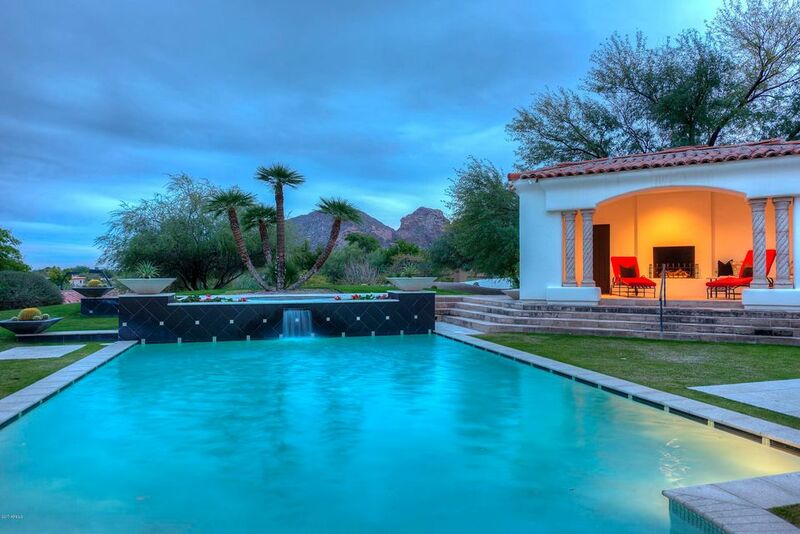 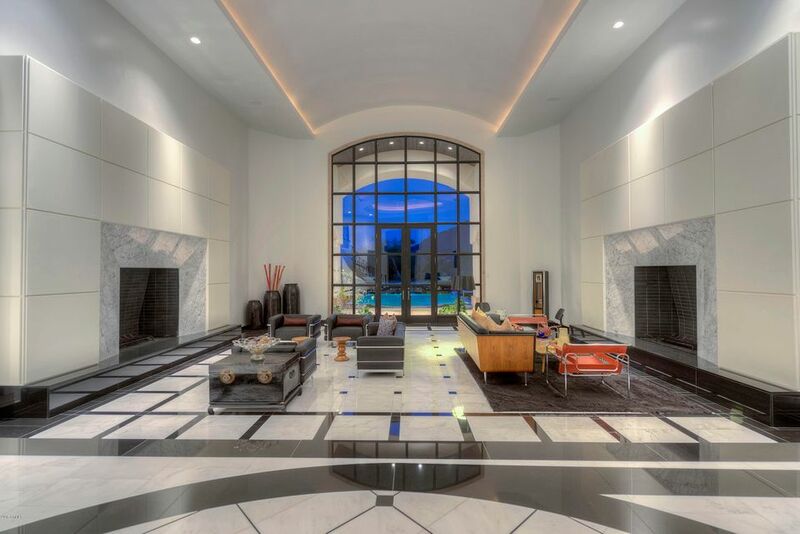 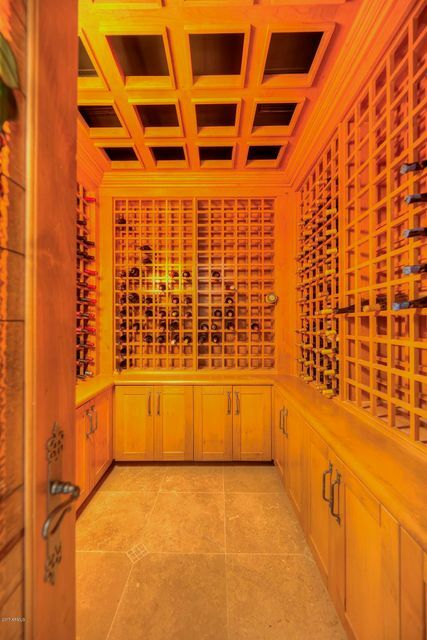 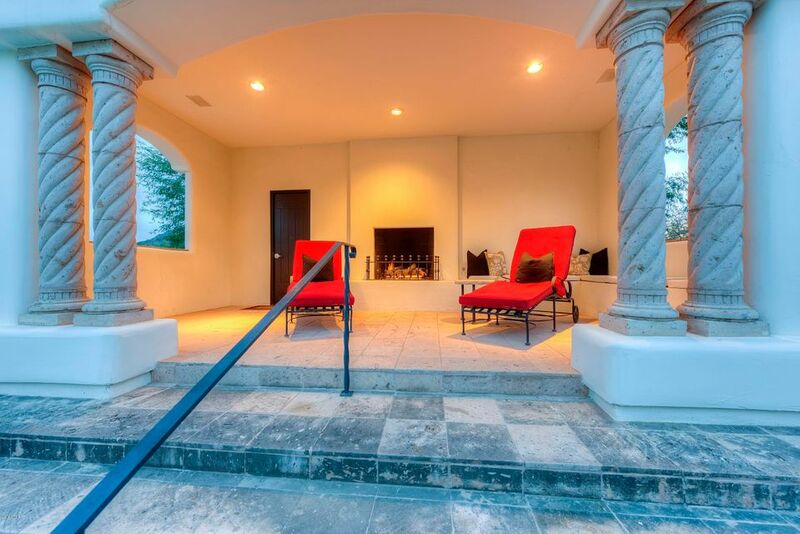 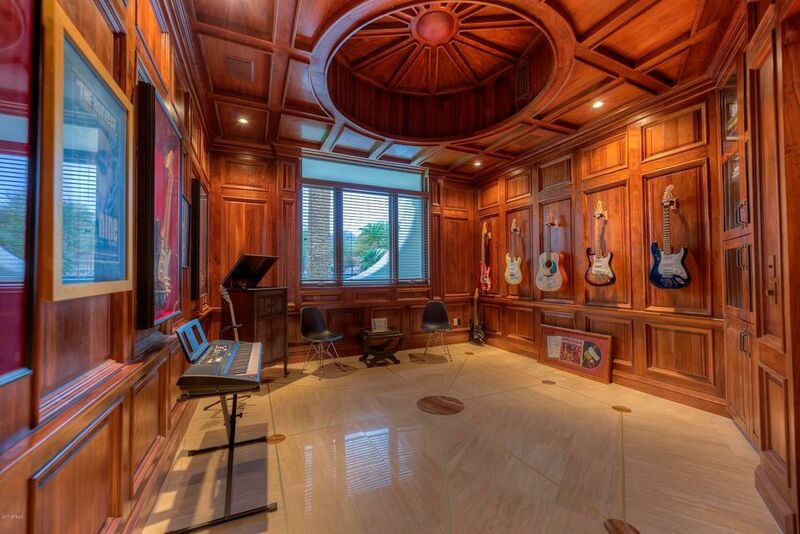 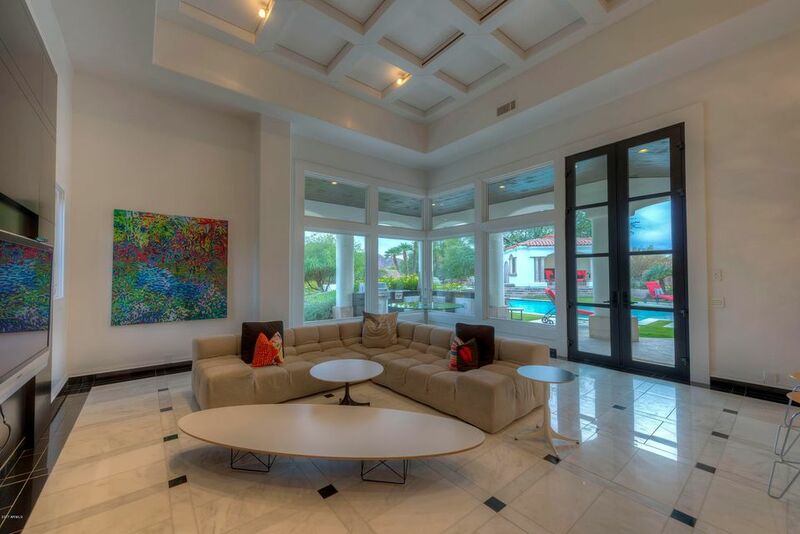 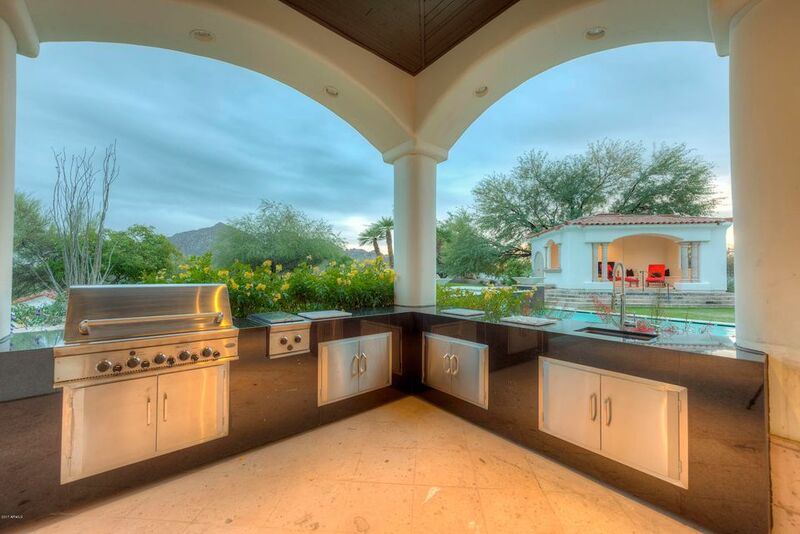 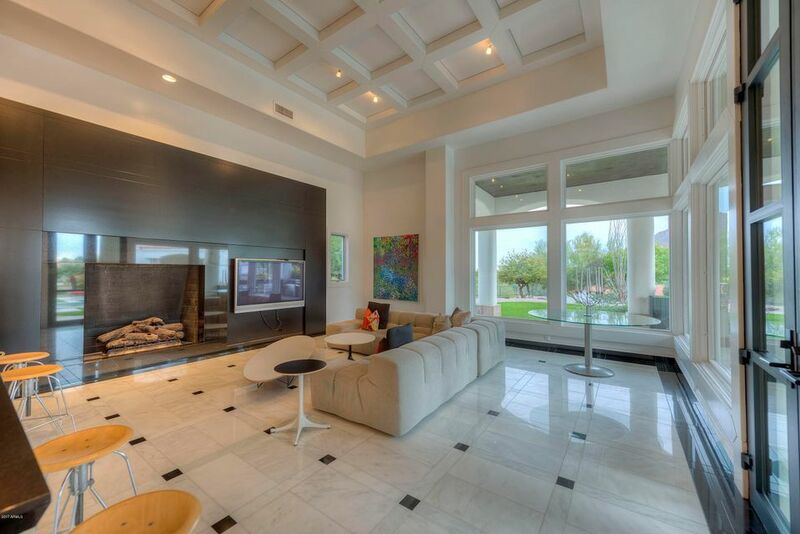 Amazing gated 3.2 acre estate framing Camelback Mountain. 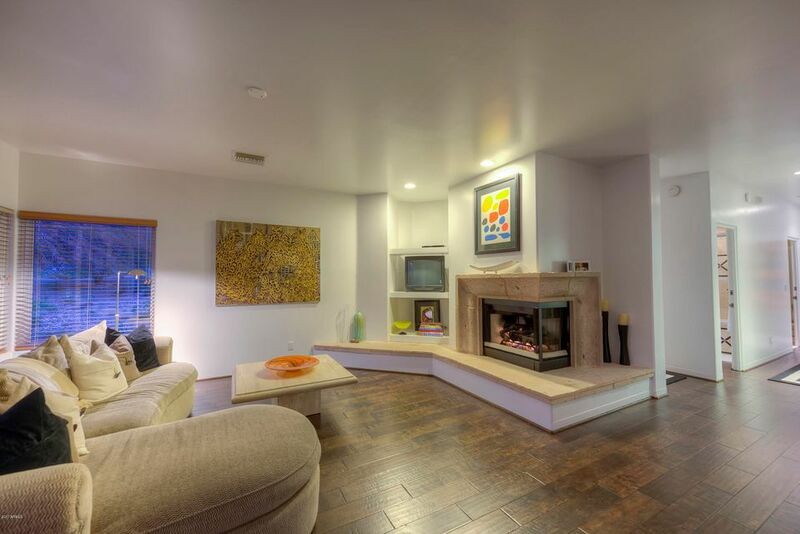 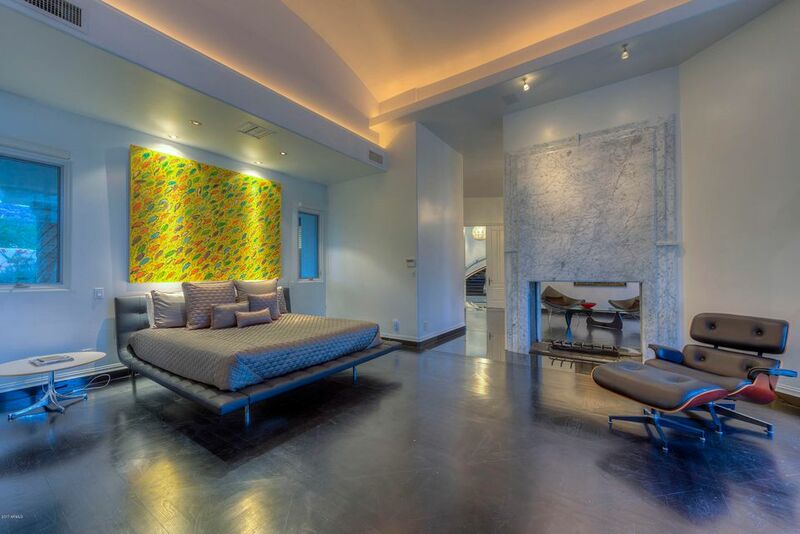 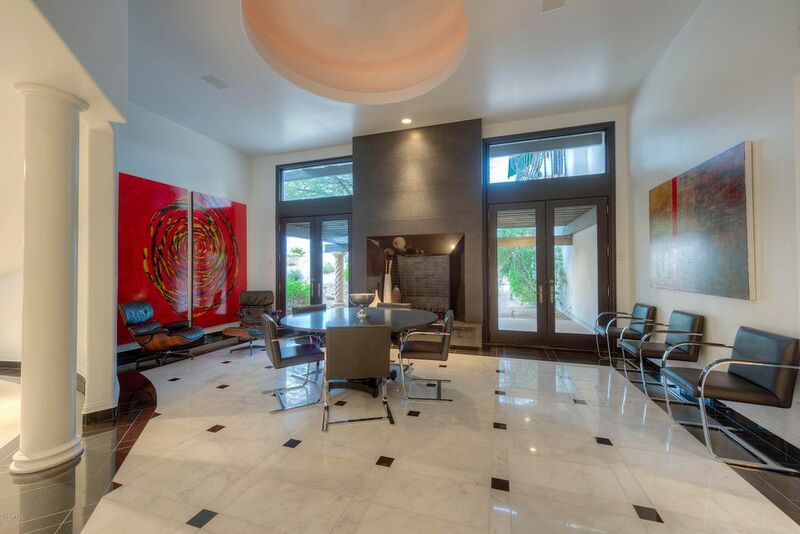 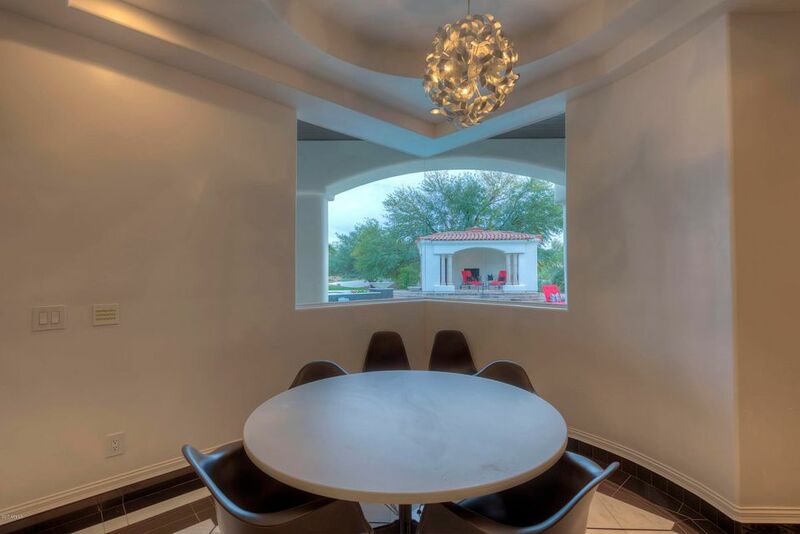 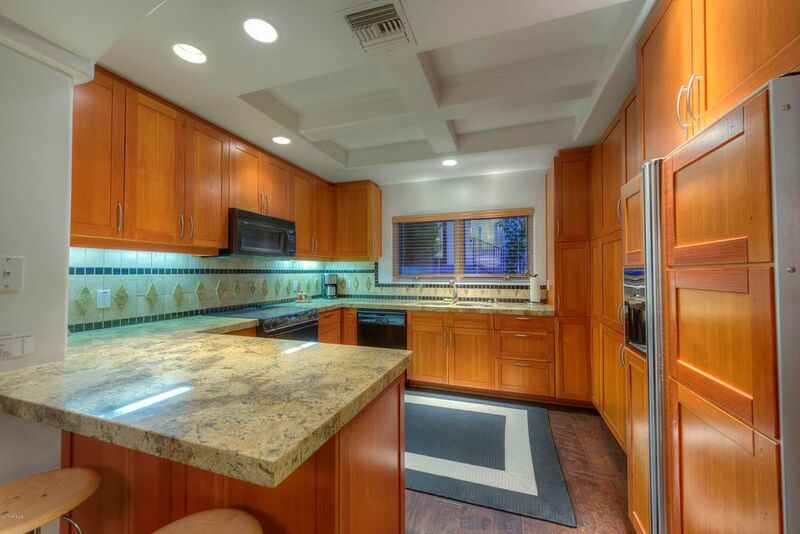 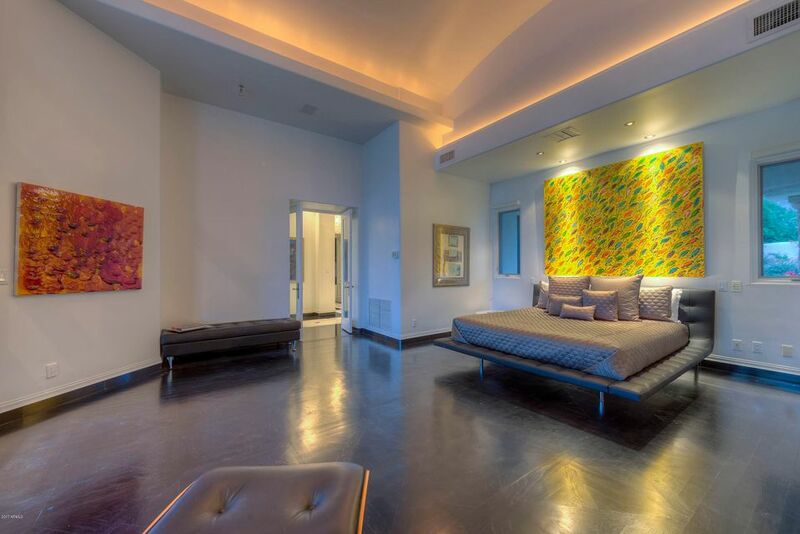 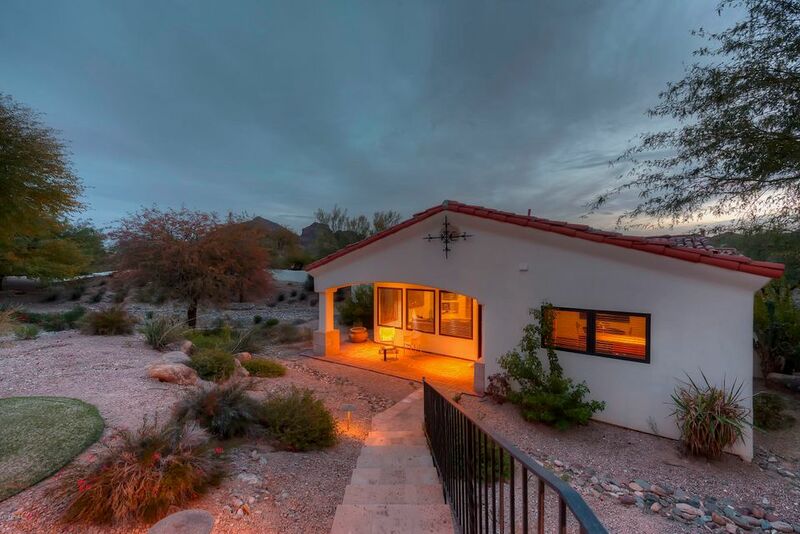 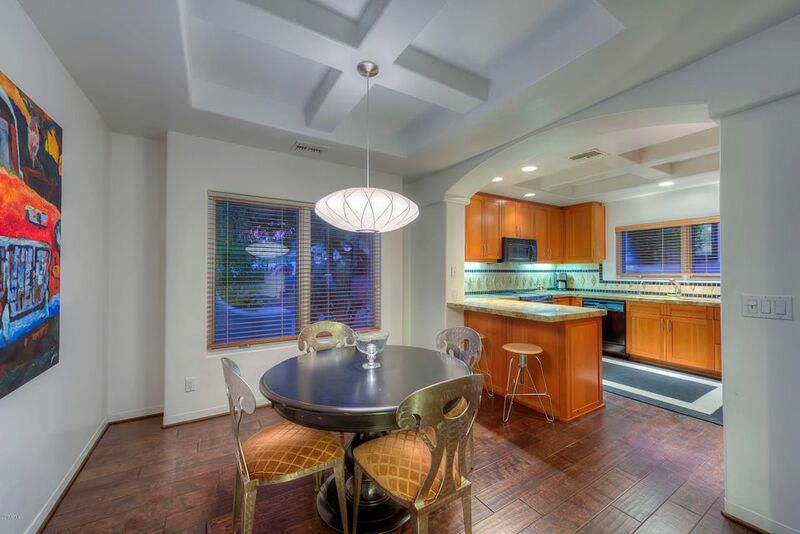 Remodeled by Jack Black, this estate has dramatic 30' living room ceilings & views of the mountains through a 20' window! 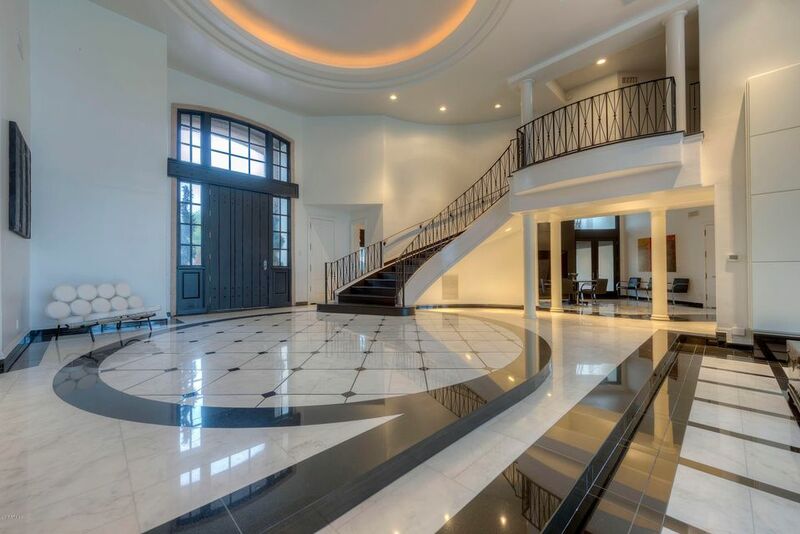 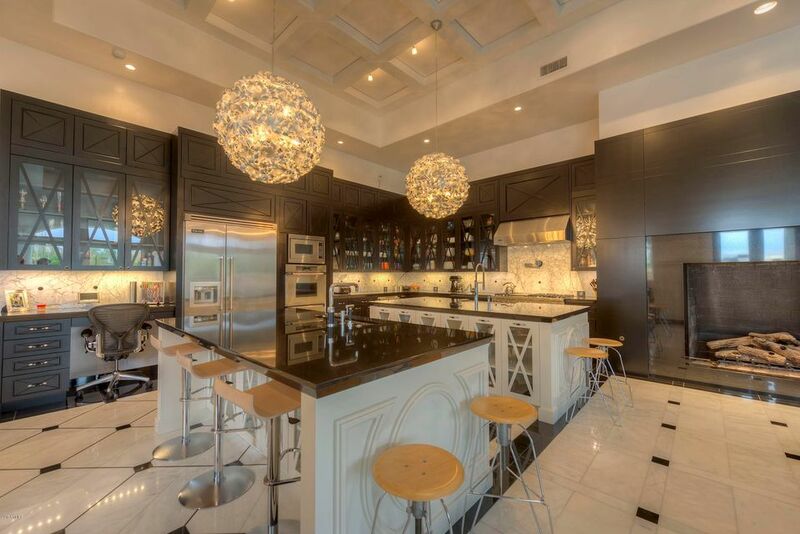 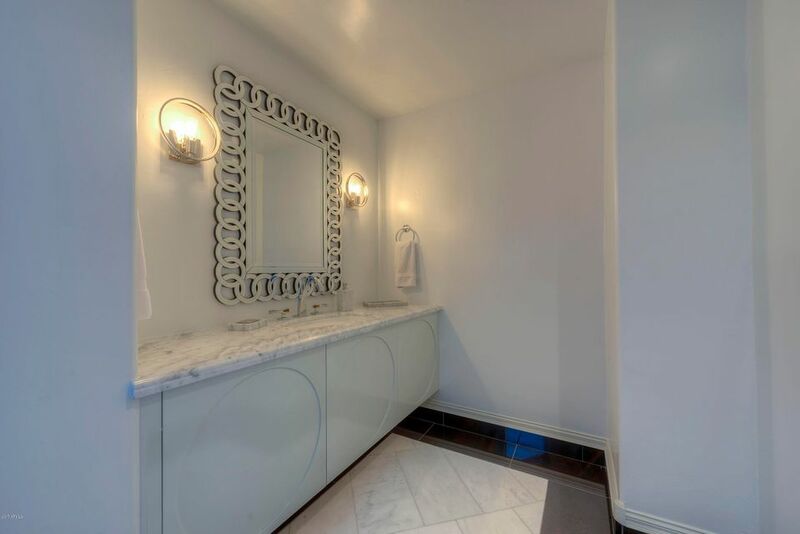 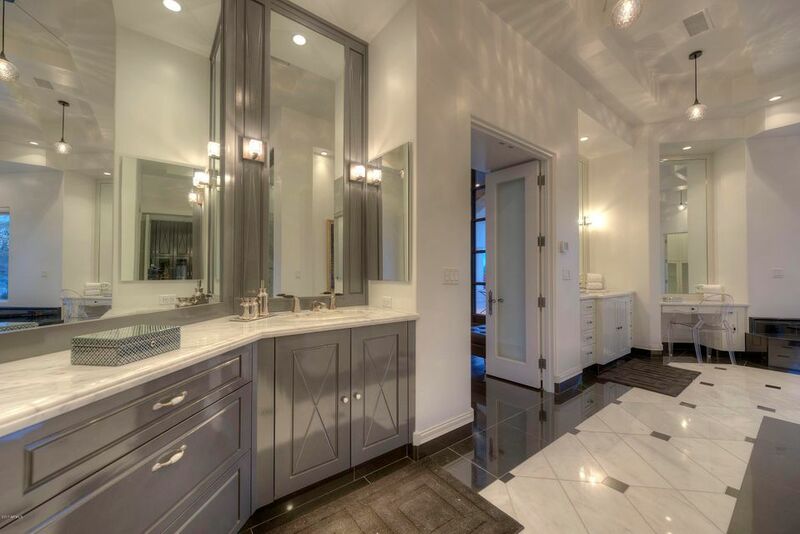 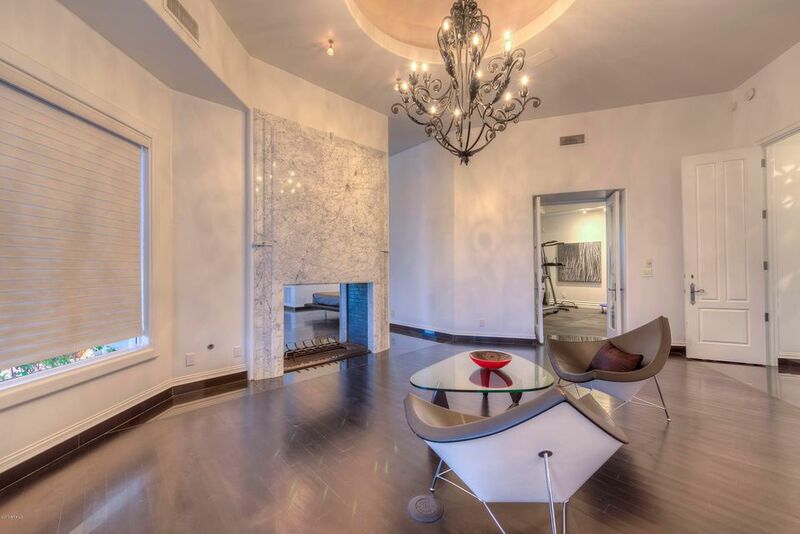 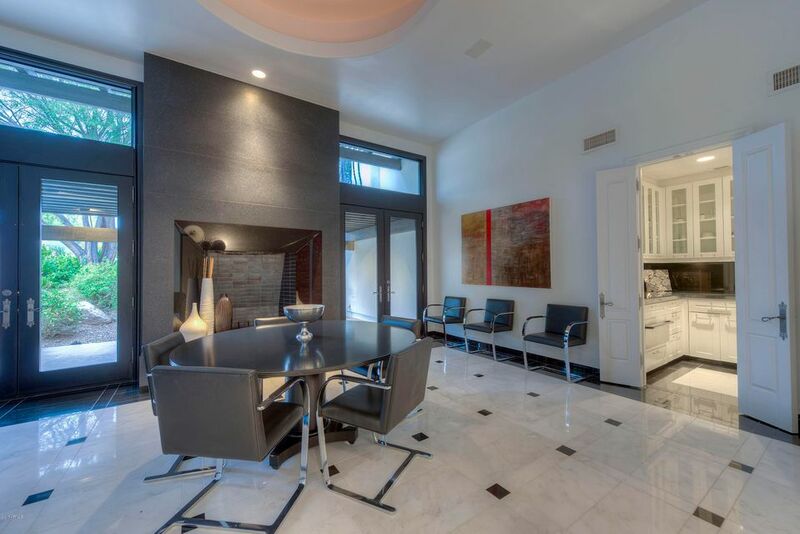 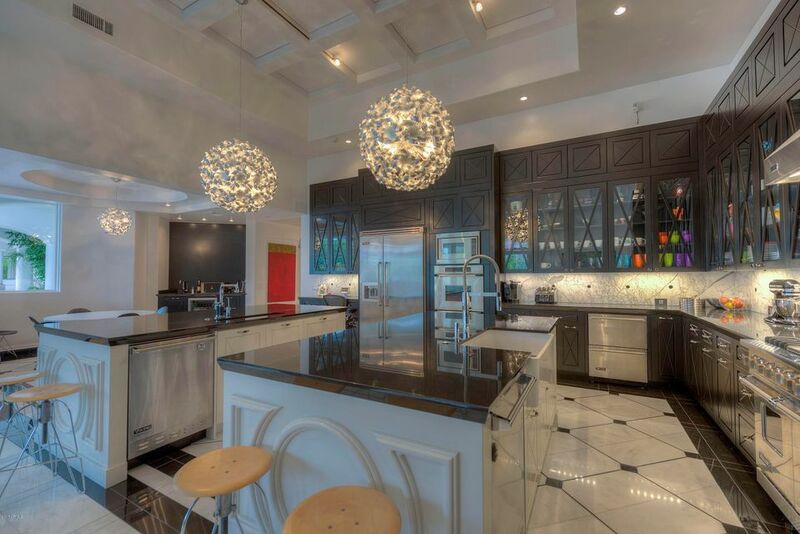 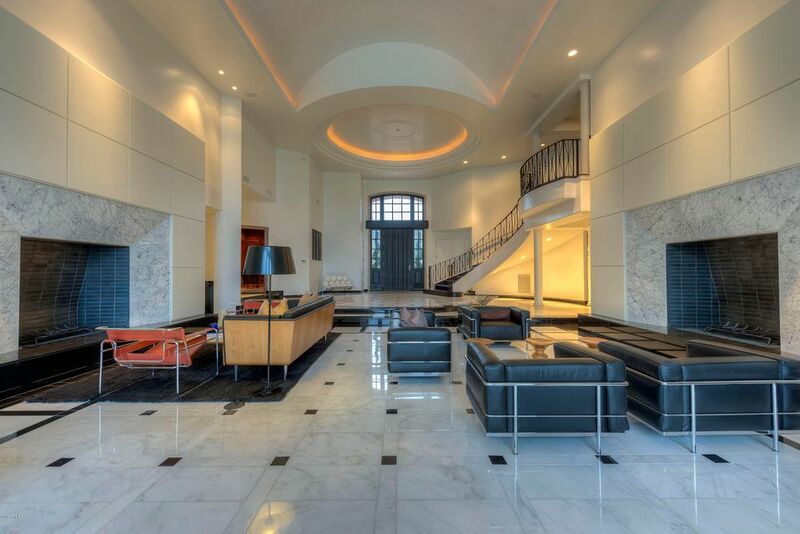 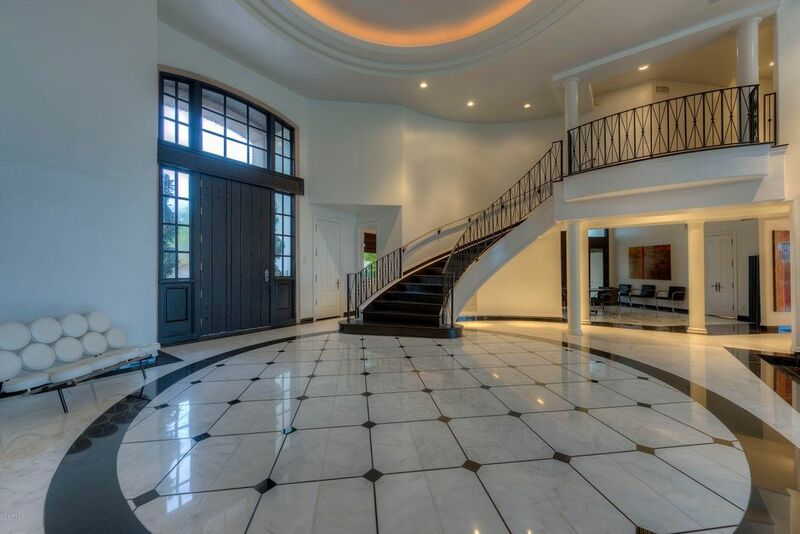 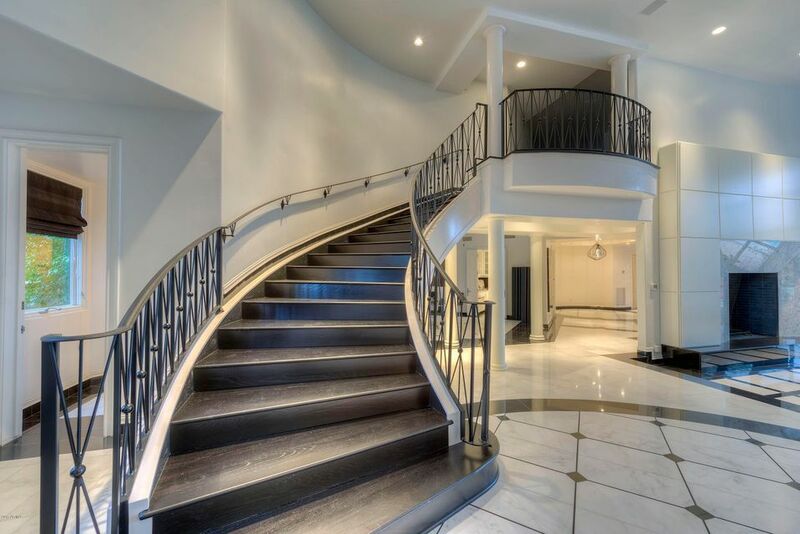 Exuding Hollywood Regency style with Carrara marble and black granite flooring, fully paneled library, a chef's kitchen opening to a family room, a master suite w/ an exercise room and sitting room with a two-way fireplace. 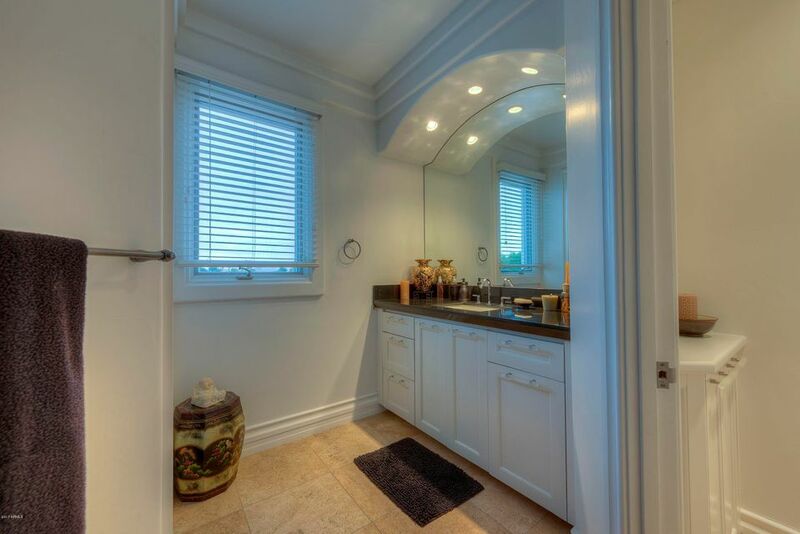 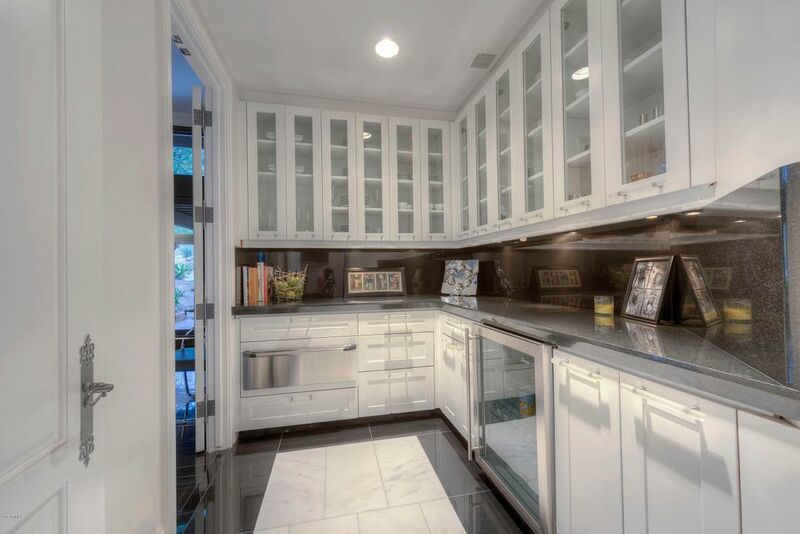 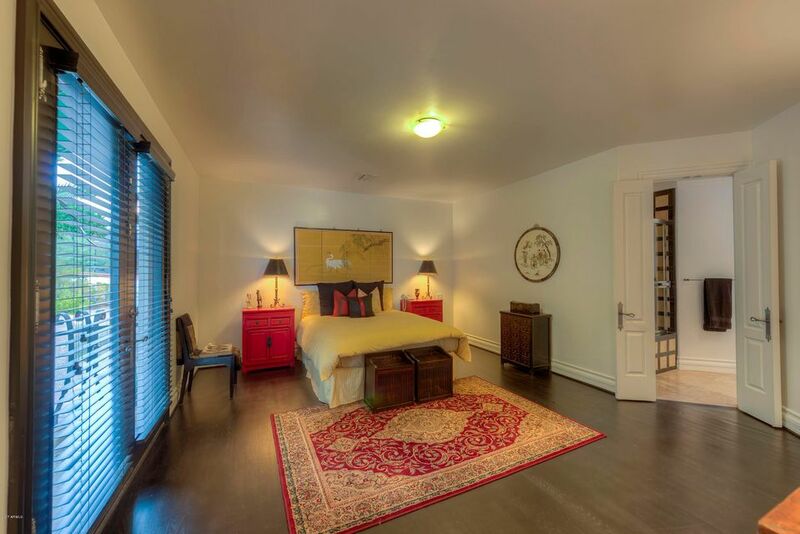 The master suite hosts his/her closets with glass cabinet doors. 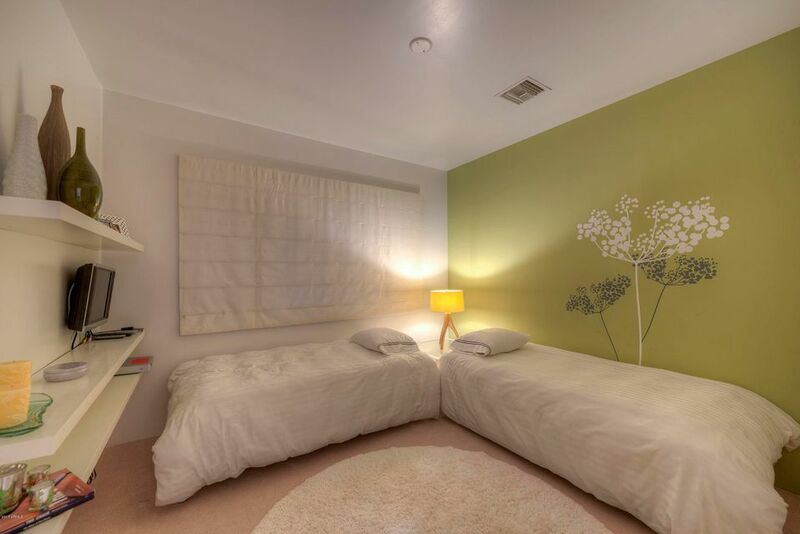 The 3 additional bedrooms are connected by a large computer/playroom. 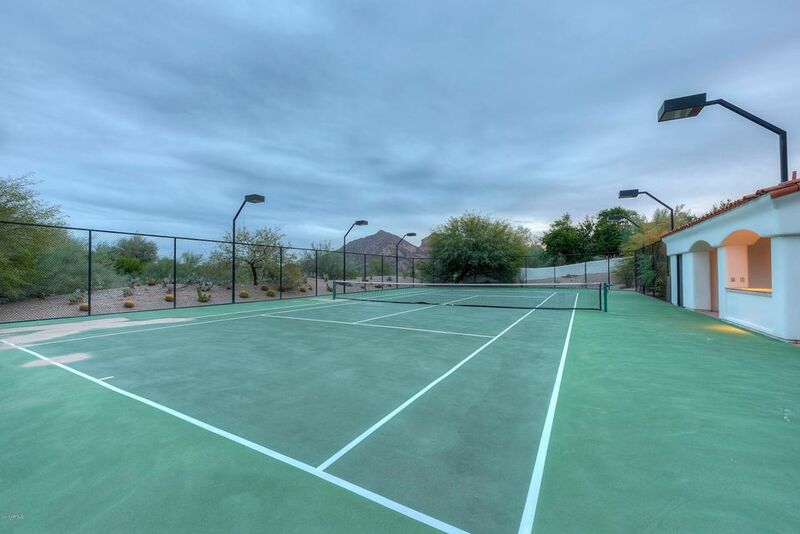 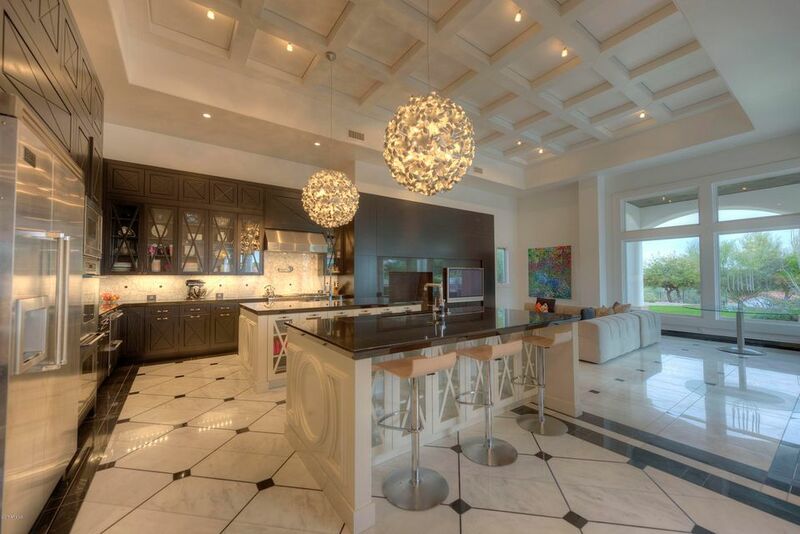 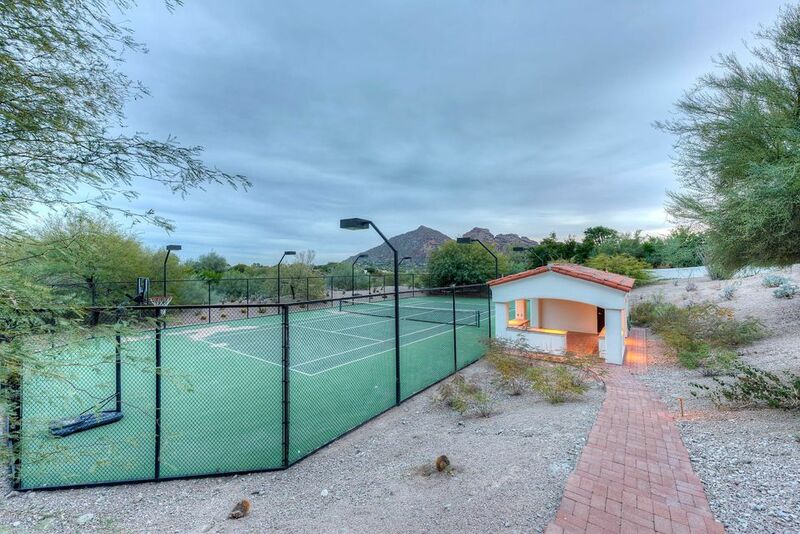 Property offers a tennis court, pavilion, pool and spa with cabana. 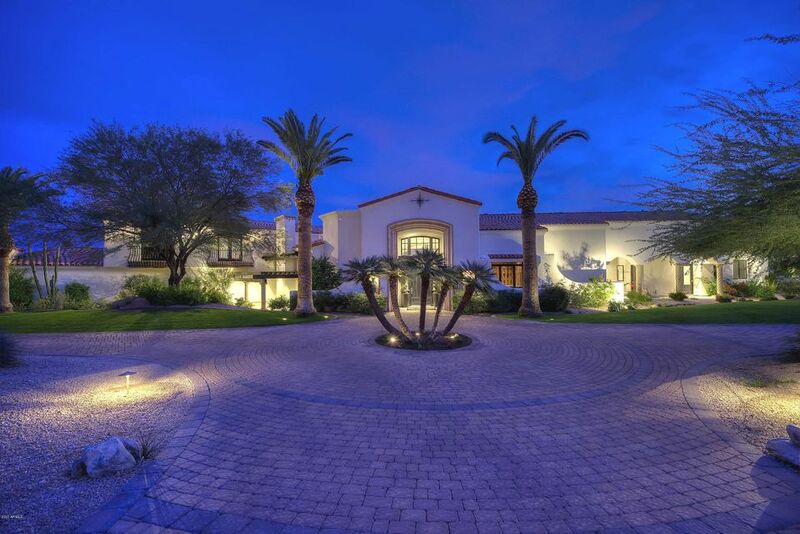 Car enthusiasts will love the 9 car garage! 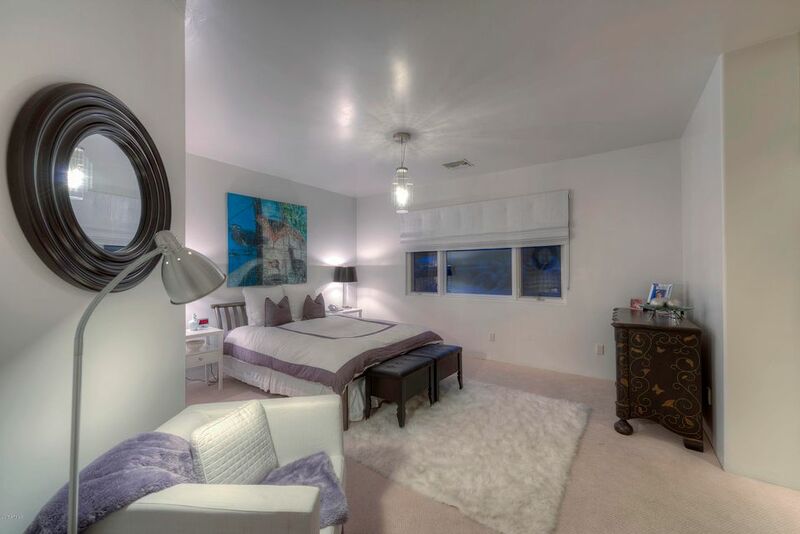 All this complete with 1,546SF guest home with two bedrooms, two baths, a kitchen, living room with a fireplace, dining, laundry and it's own garage.